Suddenly you go from a frenzied whirlwind of learning to drive, first date, first prom, college visits and applications, sports, music, summer jobs, heartbreaks…the roller coaster ride is fast and furious. The emotions of empty nest when kids leave home kick in long before they actually leave, but when they go, the reality finally sets in. You can tell because you’re really missing the things that drove you nuts about your kids…the bedroom that looked like an ongoing ransacking, the empty milk carton sitting in the refrigerator, the last of your favorite cookies you thought you had hidden gone missing. How did this happen? Once it stops, the silence can be deafening, bringing the reality of women’s midlife crisis and menopause home. Different parents cope differently with their kids leaving home. Some parents may feel as though they have no purpose, as though it’s a sign of a sudden onset of aging…life is over! For some women, turning fifty and the spectre of empty nest causes them to embrace the recognition of a new time in life, and off they go! Sell the house and buy a one-bedroom condo before they come back! Sound like extremes? Well, they are, but maybe not as unusual as you might think…aging gracefully is a state of mind! For what it’s worth, empty nest is not in your head. The feelings are real -particularly when you hit that 50-year milestone birthday – so there’s no reason to think you’re unique or different or missing something. It’s easy to fall into a pit of despair (a bit dramatic perhaps, but you get the idea!) when your kids leave home. For those who are really struggling, the biggest danger is not recognizing the fear and succumbing to isolation. 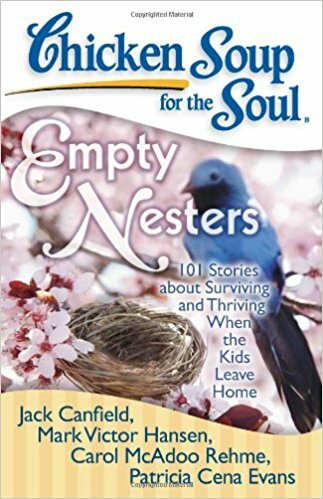 Identifying and addressing empty nest syndrome is the first step in dealing with it. Start taking regular walks during what would have been your family dinner hour…if your spouse joins you, all the better! Health and fitness for men and woman fifty and beyond is important for mind AND body! Make a career change. Reinvention is now a mainstream strategy for mid-life, allowing opportunities for change, growth, and ongoing relevancy. Sign up for a class – belly dancing, an author’s group, a computer class or any type of continuing education. Pitch your old wardrobe and develop a new 50+ fashion trend that suits you! Our styles can change dramatically right along with our attitudes as we move forward – and not in a negative way! Volunteer! The best way to wean yourself from your own misery is to help someone else. It works – really. If you have a spouse or significant other, it can be a difficult time of adjustment in your relationship. Suddenly you have only each other to talk to, to spar with, to bounce your thoughts and emotions off of. Having the kids around may sometimes have played as a buffer, either forcing you to compromise with your spouse, or pushing you to suppress some strong opinions or emotions that you otherwise might not have. With the kids leaving home, sometimes it’s easy to lash out at the person closest to you when you’re feeling lonely or fearful. In many very normal families, parents haven’t had a meaningful conversation with each other that didn’t involve the kids in years. Even if it was career related, or involved household issues or moving, the family is always the main focus in the back of your mind. Life after menopause is definitely an interesting and exciting time. No matter what, baby boomers, the most important thing to remember is that empty nest syndrome is temporary! How many times have you heard other people roll their eyes and say, “Oh, don’t worry, they come back!” Whether they do or not, it’s a journey, and you will adjust and you will go on with your life. Is Empty Nest For Real? How to Cope!